Last month, netizens praised a wheelchair-bound delivery man for delivering food even though he is unable to walk. Earlier this month, another wheelchair-bound GrabFood delivery woman went viral for going above and beyond for customers despite suffering from cerebral palsy. 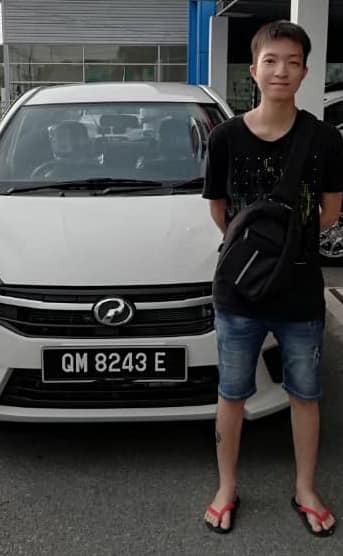 Facebook user Eve SH shared photos of him and his note on Miri Community's Facebook page, which has since garnered over 5,400 shares. He wrote: "Dear passengers, you may have noticed that I'm a very quiet guy. That's because I believe Silence is Golden. I'm actually so hilarious. I'm the only one who gets my jokes." The driver then went on to explain his type of disability. "The truth is I was born with a speech problem. After words have been formed in my brain, it takes a long time for them to be sent to my mouth to be spoken out," he wrote, adding jokingly that his "audio system" is somehow "wrongly wired". "[I'm] certainly not deaf. My eyesight is sharp and my mind is clear. So, be rest assured that you're in safe hands when you sit in my car. I can bring you safely to your destination," he wrote. Under 'Therapy ride', the driver wrote: "If you are having a bad day, my ears are all yours. And so are my shoulders for you to cry on." And if passengers select 'Friendly ride', the man wrote that he can smile and wink in the rearview mirror from time to time. 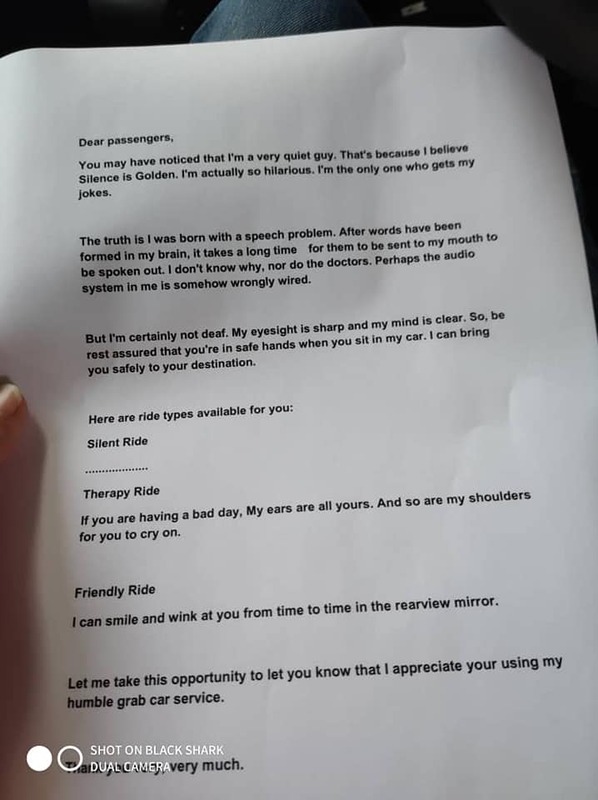 He ended his note by thanking passengers for taking his humble Grab car service. 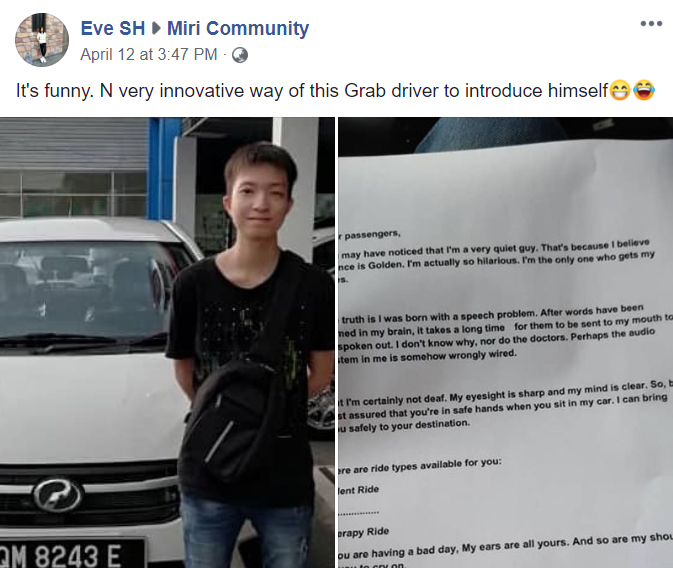 The netizen captioned her Facebook post commending the driver for being "innovative" and "funny". You'll never look at balut the same way again.